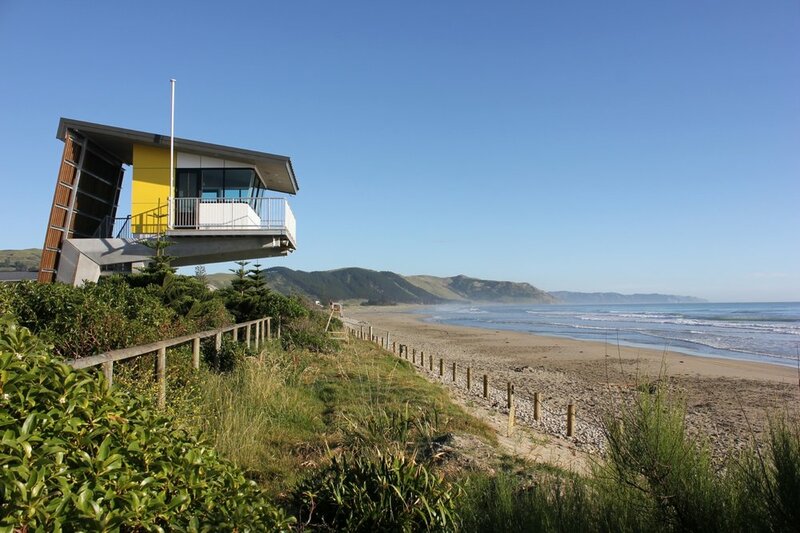 Drawing inspiration from the surrounding context of the beach, dunes and breaking surf, the new Surf Lifesaving tower at Waimarama Surf Lifesaving Club has fused together form and function. Un-swayed and un-moving, the body of the Tower offers safe harbour to those inside, to observe and to protect, to see and to hear. For those outside it signifies faith and security. In form, the roof form references the breaking surf on the beach. The main body of the roof is a solid body, under which the Cabin sits, and then as the roof line descends to the sand the slatted timber screen filters the light alluding to the feathered and leading edge of a breaking wave.